Needs to be filled with filled / bottled water to stop problems with hard water scale. Can be adapted to work with ESE coffee pod systems. No installation requirements other than a 13 amp socket. Automatic water level system with probe, electronic control unit and solenoid. Hot water outlet allowing you to make teas and hot chocolate. Pressure controlled by a double contact pressure switch. 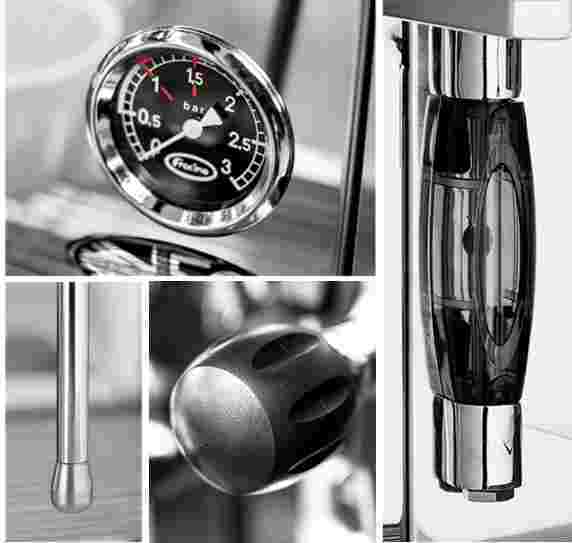 Available with highly polished stainless steel or painted side panels and drip tray surround. 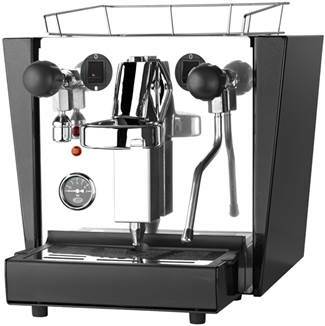 This espresso machine is delivered direct from Fracino and should be delivered within a couple of days, but depends on stock.